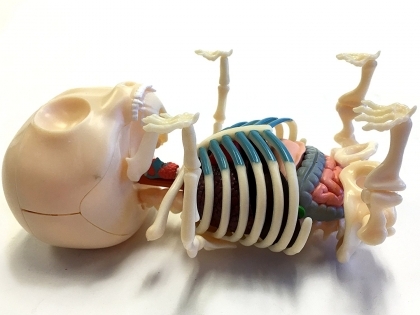 The Gummi Bear Skeleton Anatomy Model Kit, by 4D Master is a 8.25" x 4.5" x 4" anatomy version of the iconic gelatin candy. 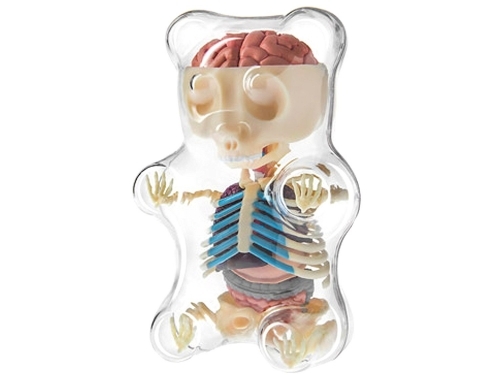 Bring your favorite candy to life with this Gummi Bear Anatomy 41-Piece puzzle toy! Designed by artist and designer Jason Freeney, this Gummi Bear has its own disproportional skeleton and organs. 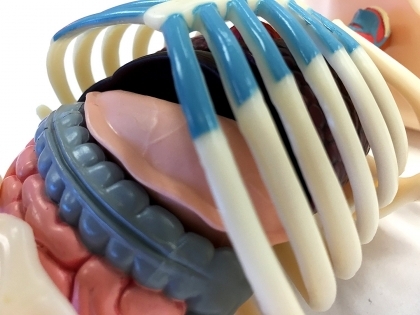 Learn all about the anatomy of those delicious fruit-flavored candies! The Bear features a sturdy clear plastic case that serves as the "skin" or outer shell that holds the skeleton and organs in place. The skull-cap can be removed to expose the brain. 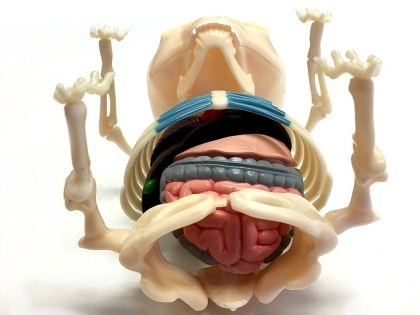 The brain can be removed and splits apart into two pieces. All of the organs detach from each other.